Pressure cookers are a vital part of our daily life. A kitchen is incomplete without a pressure cooker or a rice cooker. Currently, there are over 100 brands that manufacture and market pressure cookers, each product might have a different specification and might be made of different material. So, how exactly will we select the best pressure cooker brand? It is not as complicated as you think, a pressure cooker, as we know should have features like strength, excellent pressure holding capacity, safety features, good building material that spreads the heat evenly. However, today, not all pressure cookers come with these feature, best brands are those brands that provide all these features in their products. Here is the list of 10 best pressure cooker brands. Tefal is a French-based company that manufacture cookware and small appliance. The brand was founded in the year 1956 and is now owned by Groupe SEB. The products from this brand are marketed under the tag name T-Fal. It was the DuPont that insisted the company alter their brand name since it seems to be too similar to their product named Teflon. T-Fal brand is best known for their non-stick cookware products. The brand also manufactures Linen care products like garment steamers and steam irons. The same brand owns the Swan cookware brand in the United Kingdom. Bread makers, Fryers, Indoor grills, Kettles, Toasters, Coffee makers, pressure cookers, and rice cookers are few of the products from this brand. Instant Pot is a tagline for pressure cookers and slow cookers that comes with an electronically controlled feature. The products from this brand are manufactured by the company Double Insight and are marketed as a 7-in-1 kitchen appliance. The Instant Pot designed and sold under this brand name can be used for both cooking and also for preparing food. However, the concept of this multipurpose device has been in use from 2006 and had the technology patent acquired from the Midea Group. It was Robert Wang, Yin Quin, and a former employee of Nortel together designed and introduced the product. Rice cookers, pressure cookers, smart Bluetooth incorporated devices are some of the devices from this brand. Presto officially known as the National Presto Industries is a small appliance and ammunition manufacturer founded in the year 1905. The brand has its headquarters in Eau Claire, Wisconsin, United States and markets its products worldwide. The brand has 3 segments of business ranging from manufacturing and marketing small kitchen appliances, defense, and absorbent products. The small kitchen appliance segment manufactures and markets products mainly like pressure cookers, cookware products etc. Popcorn pumpers, Electric skillets, Pressure cookers, Coffee makers, deep fryers etc. are some of the products from this brand. Fissler is a German-based cookware manufacturing brand that was founded in the year 1845. This brand has its headquarters in Idar-Oberstein, Rhineland-Palatinate, Germany and is one of the oldest pressure cooker and cookware manufacturing companies. It was in the 1920’s that this brand came out with aluminium pans for electric stoves. Currently, the pots and pans from this brand has an all-stove base that makes it suitable to be used on any heating surface without using any wrapping or degrading. Pressure cookers, cookware sets, knife sets, frying pans, saucepans, sauté pans, stock pots, and woks are few of the products from this brand. Wisconsin Aluminium Foundry is the manufacturer of All American pressure canners since the year 1930’s. This is one of the oldest foundries and has been offering the safest and top-quality products. However, the quality of the product is high, but, the exterior looks of this device might not satisfy you. The products from this manufacturer features metal-to-metal sealing system and positive action clamping locks. Drilling machines, tools, pressure cookers, grills etc. are some of the products from this brand. 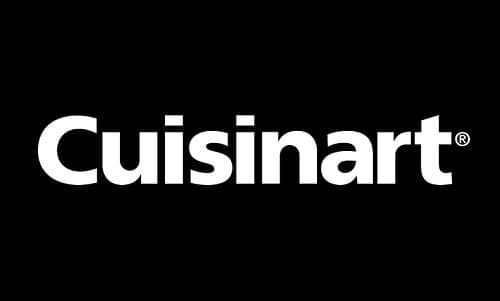 Cuisinart is a private American based manufacturer that manufactures and markets cookware and home appliances. The brand is now owned by the Conair Corporation and the company was founded in the year 1971. The company was founded for the purpose of introducing electric food processor to the US market. It was only in the year 1989 Conair Corporation bought Cuisinart. The brand today has its headquarters in Stamford, Connecticut, USA. Bakewares’s, coffee makers, toasters, cutting boards, grills, hand mixers, food processors, stand mixers, slow cookers, scales, gadgets, and espresso makers are some of the products from this brand. Mirro is officially known as the Mirro Aluminium Company that manufactures cookware. The brand was founded in the year 1909 and has its headquarters in 2003 Headquarters, 900 South 16th Street, Manitowoc, Wisconsin, United States. This company is now owned Groupe SEB and the brand name Mirro was registered to the parent company Groupe SEB. This brand has been manufacturing pressure cooker for over 100 years and is well-known for manufacturing top-quality aluminium pressure cookers. 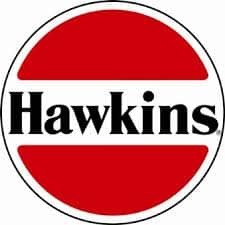 Hawkins officially known as the Hawkins Cookers Limited is an Indian manufacturer of pressure cookers and cookware. This brand was founded in the year 1959 and has its headquarters in Mumbai, Maharashtra, India. Even though the company has an Indian origin markets its product worldwide. According to the record this brand has sold over 69 million pressure cookers worldwide and has over 65 different models of pressure cookers. The brand was listed as one of India’s most trusted kitchen appliance brand in India. Kuhn Rikon is officially known as the Kuhn Rikon Switzerland and was founded in the year 1926. This brand is particularly known for its wide range of pressure cookers and been successful ever since. This brand hence became the synonym of the pressure cooker. The founder developed the products in the beginning under the brand name Duro and then, later on, changed the name to Kuhn Rikon. Fagor officially known as the Fagor Electrodomésticos, S. Coop is a large domestic and home appliances manufacturing company. This is one of Spain’s largest consumer appliances manufacturing company and is the 5th largest manufacturing company in Europe. This brand was founded in the year 1956 and was formed as worker’s co-operative sector company. Pressure cookers, ovens, hoods, refrigerator, dishwashers, cooktops, beverage centers are few of the products from this manufacturer. Pressure cookers come from several brands but, none of them with the features and quality offered by the brands listed above. Majority of the brands mentioned above are international brands with more than million sales per year.